The actress stars in a lesbian-themed movie about Lizzie Borden, but she told The Advocate she's cognizant of creating opportunities for out actors. Oscar nominee for Boys Don’t Cry and a Golden Globe winner for Big Love, Chloë Sevigny has been busy promoting her passion project Lizzie, a retelling of the Lizzie Borden story that imagines a love affair between the alleged ax murderess and the family’s housemaid, Bridget (Kristen Stewart). From appearing in the LGBTQ-themed Boys Don’t Cry through to Lizzie, Sevigny has played queer at least half a dozen times. In 2012, Sevigny played a transgender woman in the British series Hit & Miss about an assassin who discovers she has a family. The actress recently told The Advocate that she would not play trans again. 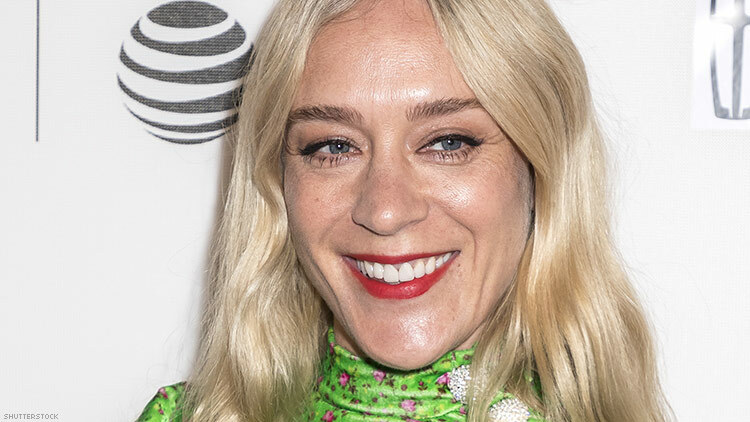 “The trans community — they should be hired,” Sevigny said, referring to the push in recent years to offer more jobs to trans actors, as has been the case on shows like Transparent and Pose. Hollywood has long cast cisgender people in trans roles (known as "transface"), including Vanessa Redgrave as Renée Richards in the 1986 movie Second Serve to Felicity Huffman in Transmerica (2005), Jared Leto in Dallas Buyers Club (2013), and Eddie Redmayne in The Danish Girl (2015), and Jeffrey Tambor on Transparent (2014). The conversation about Hollywood’s problem with casting cisgender people in trans roles hit a fever pitch this summer when Scarlett Johansson was cast as a trans man in Rub & Tug. Her original tone-deaf response deservedly caught the ire of transgender actors, activists, and allies. “Even on Hit & Miss, I remember meeting with the producers the first day… I said, I don’t know. You should hire a trans person for this,” Sevigny said. She added that the producers told her there weren’t any trans actors famous enough to get the series funded. “If I was asked today [to play trans], I would say no,” Sevigny emphatically said. In addition to taking on the role of Mia in Hit & Miss, Sevigny has played either a lesbian or bisexual in If These Walls Could Talk 2 (2000) Broken Flowers (2005), Will and Grace, Portlandia, and now, Lizzie. The film dares to take a glimpse into what may have gone on in the house where the infamous 19th-century Massachusetts woman allegedly murdered her father and stepmother with an ax (inspiring the gruesome children’s rhyme), while also affording Lizzie a love in her life via the character of Bridget. While Sevigny plays queer in the film — which she helped shepherd to fruition over several iterations — she’s ensured that there is plenty of LGBTQ representation on the film. Lizzie's writer Bryce Kass is gay and the movie features three out actors, including Stewart, Fiona Shaw as Lizzie’s stepmother, and Denis O’Hare as Lizzie's smarmy Uncle John. The actress went on to say that the love story between Lizzie and Bridget made sense in the context of the story they imagined.